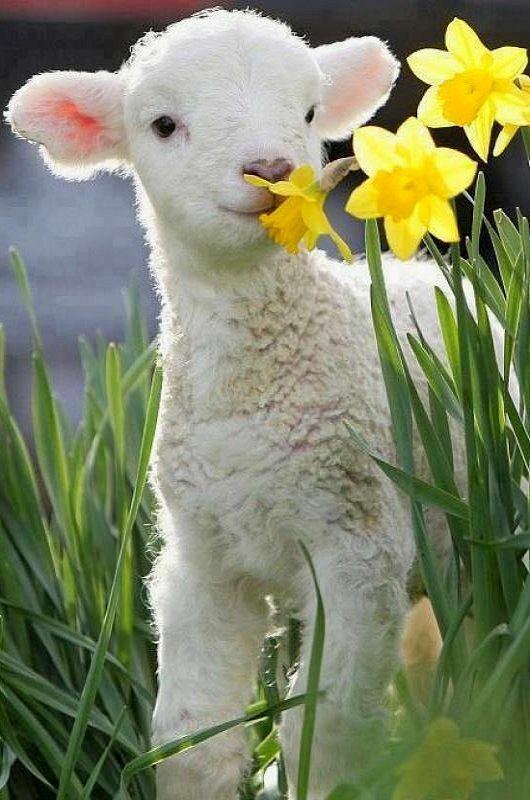 This month heralds the arrival of spring! The exact moment of the spring equinox is March 20 at 12:15 pm eastern time. This is a time for moving from planning into action! What are you going to manifest this spring? Reminder - the website to check for class schedules, etc., www.matashaktiashram.org. Fee: $15 drop in or $10 per class when purchasing a 5 class pass. 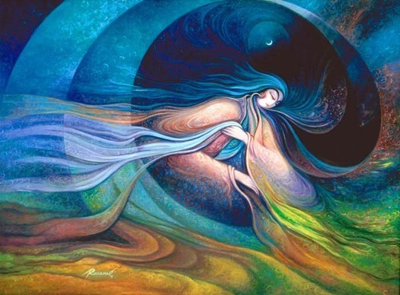 March 1: "Life is a Gift"
March 8: "Happiness is a State of Independence"
March 15: "Engaging Your Creativity"
March 29: "Grounding into Gaia"
Sadhana: an opportunity to nourish your body, mind, and spirit with a group of like minded souls! Saturday, March 3 at 5 am. We will begin with the morning prayer Japji, followed by yoga and meditation, ending at 7:30 am. A great way to start your weekend! Sadhana is always offered at no charge. Come join us! What is Humanology? 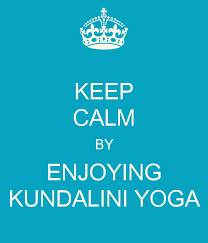 It is the applied psychology of the human being from the perspective of Kundalini Yoga. Join us for practices and explorations of life cycles, pregnancy, birth, relationships, prosperity, death, and more! We will celebrate return of spring together and elevate one another as women! Fee: $50, includes art supplies, tea, and snacks. From July 18 - Aug. 26, there will be a 40 day sadhana of chanting long Ek Ong Kar for 2 1/2 hours. 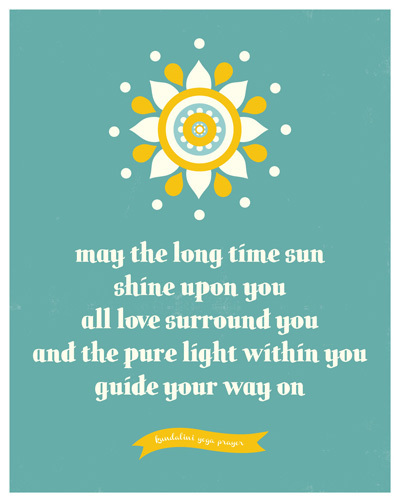 Yogi Bhajan taught that chanting this mantra for 2 1/2 hours every day for 40 days allows you to realize your own infinity. You are welcome to join us in this group exerience at the ashram for one day, some of the days, or all 40 days! 4:30 - 7 am. We will conclude this 40 day practice on Yogi Bhajan's birthday when this meditation is traditionally done as a sadhana. On that day, we will start at 3:25 am and will follow with a pot luck breakfast. Level One Kundalini Yoga teacher training takes place each year in Chapel Hill and is held one weekend per month from September - June. Next Level 2 Training Oct.-Nov.! If you are certified Level One, this is your opportunity to dive deeper into your practice and your understanding of the sacred science of Kundalini Yoga. This module, one of 5 needed to become a 500 hour level instructor, is my favorite! Mind and Meditation! Dates will be Oct. 27, 28, 29, and Nov. 2, 3, and 4. It's not too early to claim your space in this life changing course. Pre-registration fee is $900. "The way you breathe, sit, stand, eat, walk, work - everything can become yoga. You can use any process of life to transcend your limitations." 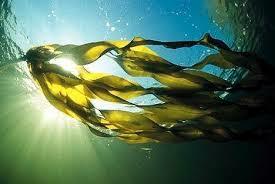 Did you know that all varieties of seaweed are edible? Just make sure the waters they come from are not too polluted! Seaweed has marvelous health benefits, including being good for the thyroid gland and helping to prevent blood clots and strokes! Cut the seaweed and cucumber into desired sized pieces and mix together in a bowl. In a separate bowl mix the spices with olive oil and vinegar. Then toss together both sauce and veggies. Top with sesame seeds. Serves 8 - 10 small portions. Mata Shakti Ashram welcomes your support! How can you help? Time and Talent: help with yard and garden maintenance, upkeep of classroom and workshop/training spaces, vegetarian raw food prep, help with social media and technology. Talk to your friends and personal community about Mata Shakti Ashram, for we are truly "grass roots"! Finance/Funds: Donations of money to assist Mata Shakti Ashram pay the overhead cost for the current space, pay guest teachers, and provide some scholarships to those in need. Let us know how much you are willing to pledge monthly or yearly over the next year to 5 years, as we prepare the non-profit status. Every donation will receive a class pass to share with a friend to acquaint them with the ashram. Thanks to Lisa Brown, Jennifer Pittman, Lindy Hoeft, Joni Liebel, Michelle Hill, Sat Inder Kaur and Karta Purkh Singh of Kansas City's Param Tirath Ashram, Elke Dickerson, Ranpreet Kaur, Shirin Negmodjanova, Connie Boston, Mary Radulescu, Barbara Lynn Freed, Updesh Kaur and Ashley Jackson, who have already given their support!